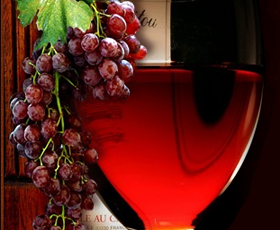 other products of grapes, grape must, pomace and wine used in wine production. legislations defining the quality thereof. mother plantations shall be prohibited. storage areas shall be prohibited. draining of pomace with actual alcoholic strength by volume of maximum 1 %. favourable conditions for cultivation of vine grape exist. district characterised by homogenous environmental conditions. characteristics related to production of grapes and wine in viticultural areas. Distilling wine is wine with a purpose to distilling. means and other requirements related to production and marketing of distilling wines. 2) „Vino sa geografskim poreklom“ (wine with geographical indications). designation of origin – PDO). category in accordance with this Law and other legislations. of wine for each of the categories of wine with geographical indications. not mentioned but are used in wine production. amphelotechnical measures including harvesting of grapes. Grapes shall be produced from the allowed varieties of vine grapes only. as sugar content in grapes or sugar content in grape must. adequate ripeness for a certain viticultural area, class, type and category of wine. or has in cooperation a vineyard and is registered in the Vineyard Register. not register into the Vineyard Register. data mentioned in item 4, para 2 hereof. administrative proceedings may be initiated against it. all changes of data no later than 15 days following the date of change. Data from the Vineyard Register shall be public. databases and registers of the Ministry. 2) does not fulfil the conditions. Register shall be conducted by the Ministry. the Vineyard Register mentioned in para. 1 hereof, by the open competition. para. 2 hereof for conducting activities that the organisation is authorised for. as all other practices related to production of other products. into the Wine Register handled by the Ministry. and instruments as well as related to professional staff. storing of oenological means and inputs. (keeping) of wine that originate from the Republic of Serbia. time on activities related to production of wine. staff that must be fulfilled by the producer. form filled by the producer mentioned in para. 1, Article 17, applicated to the Ministry. 11) Data on annual sales and number of bottles, etc. Register to the Ministry no later than 15 days following the date of change. as well as the Application form for registration into the Wine Register. 2) Fails to fulfill conditions set forth in this Law. products, etc. with the documents supporting the data. five years from the date of sale of the last quantity of that wine or other product. The Minister shall define the content and method of handling winery records. exact mention of wine defects relative to the prescribed quality thereof. The Minister shall define the method of marking vessels mentioned in paras. Vigne et du Vin) shall apply, which have been published in its official publications. production of grape must, wine and other products. International Organisation for Vine and Wine. assurance of grape must, wine and other products. allowed solely for the purpose of alignment of quality in accordance with this Law. signs an agreement in the meantime providing for cumulation of origin. shall be borne by the producer. provided for in this Law. and other conditions provided for in this Law. chemical and microbiological analyses of wine as well as of organoleptic testing. The authorisation shall be given by a Ministerial certificate. the basis of erroneous or false data. and other products shall be conducted by an authorised laboratory. draw a List of Wine Tasters and the level of fees for their work. the provision stipulating quality thereof. The declaration must be readily visible, clear and legible. of so declared wine shall be prohibited. wine and other products in production and market. this Law shall label the wine with a registration mark. mark onto each individual original filling of wine. and numbers of individual packaging. registration marks mentioned in the para. 1 hereof. 2) Protected designation of origin. originate from that location (position) or wine-growing oasis. approved and registered as such. adequate yield and which was approved and registered as such. vine grapes with an adequate yield and which was approved and registered as such. characteristics, method of production which was approved and registered as such. produced by organic methods”), etc. indications and the term of wine category. by the Ministry and approved and registered as such. conditions for registration of recognised traditional term. mentioned in para. 1 hereof on the basis of a public competition. organisation does not execute activities in accordance with the conditions stipulated. control of production of wine with geographical indications. indications shall be subject to legislations regulating geographical indications. of which is to begin in the following calendar year on the basis of an issued decision. mentioned in para. 1 hereof. shall constitute the income in the budget of the Republic of Serbia. wine with geographical indications from that vintage year. use thereof would result in activity mentioned in para. 1 hereof. Certificate on registration of designation of wine with geographical indications. the wine has been produced and on wine fairs registered with the Ministry. well as the type of packaging. Transport of marketed grapes shall be accompanied by a dispatch note. marketed in bulk shall be forwarded to the buyer (producer) with the dispatch note. grapes, wine and other products. indicated in the technical documentation for that wine with geographical indications. market no later than 31 March of the year following the year of harvesting of grapes. Wine imported in bulk shall be declared as “stono vino” only. geographical indications which shall not be translated. organoleptic testing for wines and other products. accompanied by a quality certificate. 4) Issuance of Certificate on cancelling from the Wine Register. charges related to administrative practices. constitute the revenue of the budget of the Republic of Serbia. until the date of registration into force of this Law. records on the official identifications issued. 49) Execution of measures provided for in this Law. ordered by a decision of an Agricultural Inspector. allowed to use them in his production. Minister within six days from the date of delivery of the decision. An appeal shall not defer execution of the decision. wine, other products, transport vehicles and vessels were confiscated from. advertisement to the interested producer registered in the Wine Register. from original filling, the producer thereof. date of information on the result of analysis. which is requested shall be borne by the client. grapes, wine and other products shall be borne by the producer or a legal person, i.e. 9) Fortifies pomace or grape must without the approval of the Ministry (para. evidence of controlled and established quality of that wine or another product (para. for the offence mentioned in para. 1 hereof in the amount of RSD 50,000 to 200,000.
measure of prohibition of conducting certain functions between one and five years. for the offence mentioned in para. 1 hereof in the amount of RSD 10,000 to 50,000. 8.) Transports, stores and sells grapes in contravention of Article 48 hereof. date of registration into force thereof. that wine-growing area until 2020.
and „Rakija“ shall be repealed („Official Gazette of the Republic of Serbia”, nos. 70/94, 13/02-SUS and 101/05-other law) relating to wine. international registration of markings of geographical indications of wine.